Growing old does not mean that the human brain needs to grow older and deteriorate together with the physical human body. Studies and researches have proven that the human brain can still produce new cell growths in the brain, when properly stimulated and kept at its best function. New cell growths in the brain occur in the “hippocampus” region, which is the region for storage of memories. As most people thought that as people grow older, neurons (brain cells) slowly die. 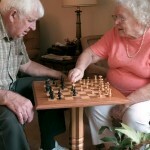 In fact, teenagers and elderly adults or seniors have the same amount of active neurons in the brain. 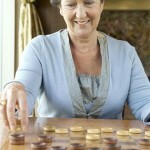 One cause of brain deterioration in seniors is the reduction in the number of dendrites found in the brain. Dendrites are the connection between neurons (brain cells). The reduction of dendrites in the brain is caused by disuse of the brain. 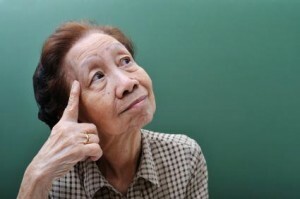 Disuse occurs when there is no proper stimulation of brain activity for the brain to stay active, during earlier stages in life and even during senior years. The reduction of dendrites which can result in the deterioration of the brain’s function can be prevented by stimulating brain activity, through solving brain games, brain puzzles, and even brain teasers. 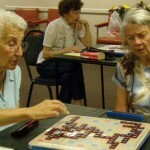 Seniors playing trivia games can be very helpful in stimulating the brain’s activity and maintain cognitive function and mental sharpness. 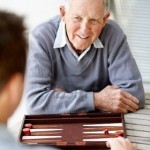 Aside from having positive effects on the brain, trivia games can also be a mean of social interaction, since it can be played together with friends and family members. Playing trivia games require functions of multiple areas of the brain, which functions all together in order to process and retrieve data and information in the brain. 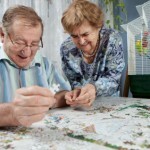 Regular mental stimulation is an important component to mental health and cognitive health especially in seniors, which can delay the onset or even prevent occurrence of dementia and Alzheimer’s disease. Since trivia games require memory, in order to retrieve the information from the brain, pathways through the cerebral cortex are stimulated to work for answers. 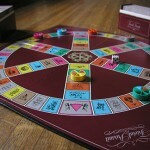 Trivia games can be found in different trivia books and even online. One advantage of using trivia books is, the trivia questions are usually from decades past, which gives seniors more advantage in getting the right answer. However, it is also important for trivia questions to come from different time periods, so that seniors can also learn something new and be kept updated with the current news.